Help support Women’s Legal Service Queensland and my Dancing CEO’s campaign by bringing a little extra happiness to the world this International Happiness Day! 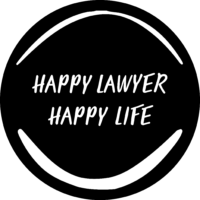 It’s International Happiness Day and this year Team Happy Lawyer Happy Life are helping you send a little extra joy to those who bring happiness to your life! Our colourful, bright, and (you should have seen this coming!) HAPPY greeting cards are the perfect way to send a happy little thank you, wish a pal an extra happy birthday, or remind a loved one of how happy they make you! Could it be any happier? YOU BETCHA! These greeting cards are doing so much more than bringing happiness to you and those you send them to, all profits are going straight to Women’s Legal Service to support their wonderful cause. Help support WLS Queensland and bring a little extra happy to the world this International Happiness Day! The Happy Lawyer greeting cards are here! The HAPPY greeting cards are a virtual hug from me to you and also is a helping hand to a woman and child by supporting the Women’s Legal Service Queensland. Co-created by Clarissa and Sarah of Happy Lawyer Happy Life. Our greeting cards are available to order in packs of 10 bold designs with envelopes. So, start sparking the biggest burst of joy you could imagine and purchase our fun, bold and happy greeting cards today! *All proceeds from sales will go towards my Dancing CEOS fundraising campaign for 2019.